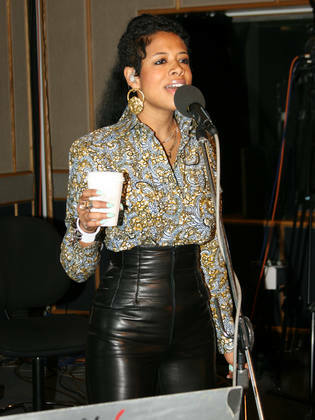 Singer Kelis and ex wife of Rapper Nas was seen in this Event wearing a shirt by Nigerian Designer Jewel by Lisa . Do we love the way she styled the shirt ? Not bad for someone who had a baby not long ago.